Amazon got everyone’s attention a few days ago when they announced 3 new Kindle tablets to the world. The price point and specs of the new Kindle Fire HD line are sure to be a hit with consumers. 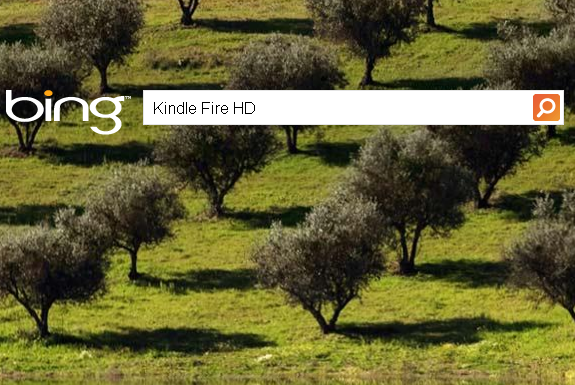 One thing that seems to have slipped under the radar though, is Amazon’s choice to use Bing as the default search engine across all of its new Kindle Fire models. To some, this may not seem like a really big deal since Google seems to have a pretty firm grip on search, but consider the following – Last year the Kindle Fire accounted for 22% of all tablet sales in the United States and with the introduction of the new Kindle Fire HD line and revamped cheaper Kindle Fire, this number is sure to rise. Not only that, but when Microsoft launches the Surface RT tablet later this year, it will also be sporting Bing as the default search engine. What this will amount to is millions of more people using Bing on a daily basis. That puts Microsoft in a much better position in the search world then they are presently. All it would take would be another large company like Apple switching to Bing to really turn the tide. This wouldn’t be all that unlikely considering that Apple has dropped Youtube and Google Maps as defaults on iOS already. How many of you use Bing over Google as it stands now? Are you more likely to use it if its the default search engine on your mobile device? Talk amongst yourselves.